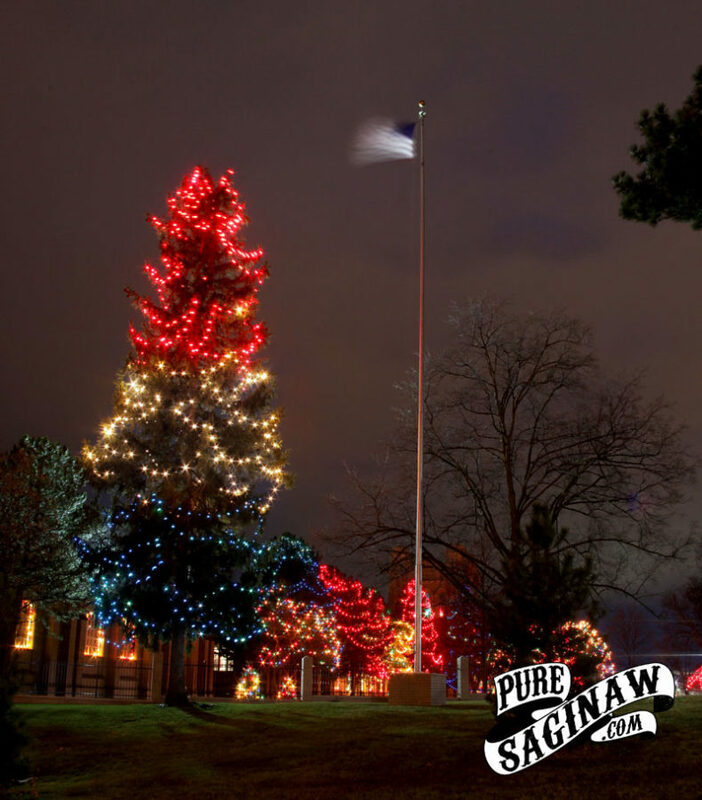 Among the glorious holiday decorations at the waterworks, is a patriotic tree next to the flagpole, decorated with red, white, and blue lights. During the Iran Hostage Crisis at the Embassy in Tehran in 1979, plant supervisor Wally Rogalski had the tree decorated as a patriot gesture in honor of the hostages. The tree on the corner of Ezra-Rust and Washington Ave. has been decorated with the American colors ever since then. I think it’s also a good reminder to remember all the men and women who serve in the military at home and abroad, and the sacrifices they make for us, especially during the holidays.